Over the weekend, we took our boys to visit Josh's grandmother. She's been living alone in the community where they established their home decades ago, but she's had no family in town since her boys moved away to start their own families. Since moving back to California, we're the closest family members and we live an hour away. She's growing older and has decided that it is time to move into a retirement type community closer to one of her boys. This was our last chance to see her without driving many more hours for a visit. The boys had the chance to talk with her and get to know her. It's one of the few opportunities they've had since for most of their lives we've lived across the country from her. If you have older parents or grandparents, you've probably noticed an interesting phenomenon as they grow older. They tell more stories. Often they tell the same stories over the over again. Admittedly, the retelling of the same stories is sometimes a disfunction of a failing memory, but I truly believe that this is also God's way of passing down important history and truths. The stories I've heard retold time and time again by my grandparents and my husband's grandparents are those attached to strong memories and the important lessons they've learned over the years. Note: Many versions of this quote exist because he said it extemporaneously in many speeches over the years. According to Wikiquote, he said in a 1971 interview that this version is his preferred version. This year is the third year that I have been teaching history to Jonathan. We've been making our way through the Reformation and the Renaissance this school year. I think I'm learning just as much as he is! This year in our history studies, we've learned about things like Islamic conflicts across Europe, north Africa, and the Middle East that help today's current events make more sense. We've also read about the first Europeans who came to the Americas as well Mayflower Compact and other pre-Revolutionary War documents and ideas that shaped out nation. It sure makes you think about current pushes to remove our personal liberties at both the federal and state levels. Whether it's something that seems trivial like a plastic bag ban in California (which is currently on hold awaiting a state-wide vote) or more egregious assaults like mandatory vaccination bills and other initiatives that encroach on your personal and parental rights… What are you going to do? 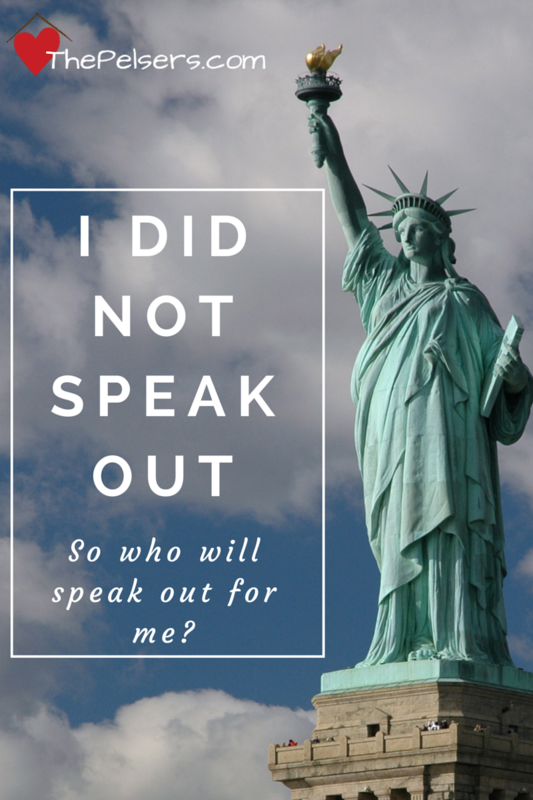 Are you going to speak out? You might believe that reusable bags are better for our environment, but is a law to outlaw or criminalize the use of plastic bags the right way of lowering the use of such plastic bags? There are other options. What about education? What about better recycling methods? What about ways to encourage companies to make better or less toxic disposable bags? What about ways to make reusable bags more cost-effective or accessible? You might believe that vaccines are the best advancement ever made in medical technology, but is a law forcing every parent to vaccinate their children the best way to make use of these vaccines? What about education? What about unbiased studies showing their effectiveness? What about removing the “vaccine court” and federal protections to force manufacturers of vaccines to be more ethical and responsible in the process of creating and distributing vaccines? Adding countless laws and restrictions of personal liberties is not what the United States was founded on. Our country was founded on the ideas like those of the pilgrims that we should be looking out for the rights of those around us. Our nation was founded on the idea that individuals have “unalienable rights” including (but not limited to) life, liberty, and the pursuit of happiness. Whose rights are you going to stand up for today? If you don't speak up for the personal rights of those you don't agree with, who will be left to speak for you when your rights are under attack? This is why most of our schooling is based on History. It is very important for our kids to learn what has happened in the past and be prepared for what will happen in the future. History has shown, time and time again, that it does repeat itself. It is very important to stand up for what we believe and teach our children to do the same. As a retired teacher and children’s librarian and now a tutor, I see so much that no longer is being done for our children. The children I tutor are in the public schools. They are under so much pressure. If I had children of my own, I would homeschool in a heartbeat and teach as much as we could by giving the children the education they deserve, not the overzealous-testing that they do not deserve. I have parents who care but do not understand how to make a stand for their kids in the public arena. This year, thought, I am seeing some stepping up to the plates for their little ones. I pray that they are bolder as their children age as well. Yes, teaching history is so important…even for people my age for I want to know what went on before me and what I did not comprehend when I was in school, if it was taught then to me. I read several books a year on the horrors of Nazi Germany and WWII. I am brought to tears often, but also see the courage that many had by standing up for others, whether they were Jews themselves, or those who protected the Jews, or those who resisted the Nazis. Thank you for standing up here.